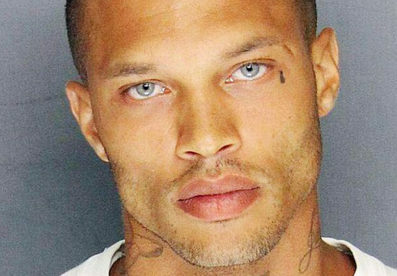 Everyone remembers when Jeremy Meeks shot to fame a few years ago after his mugshot was released. For some reason, despite being convicted of various crimes including grand theft and possession of an illegal firearm, he became an internet sensation as the world’s hottest felon. Women and men around the world swooned, saying they loved a ‘bad guy’. Such internet infamy gained Meeks a modelling contract and now he is dating heiress Chloe Green. He is even attending royal galas. Meeks appeared at Milan Fashion Week and has a modelling deal with a major sunglasses brand. But internet fame is a slippery thing, and there’s always someone on the way up waiting to take those coveted column inches. We’ve been gifted with a new convict’s mugshot – and people’s heads are already turning. 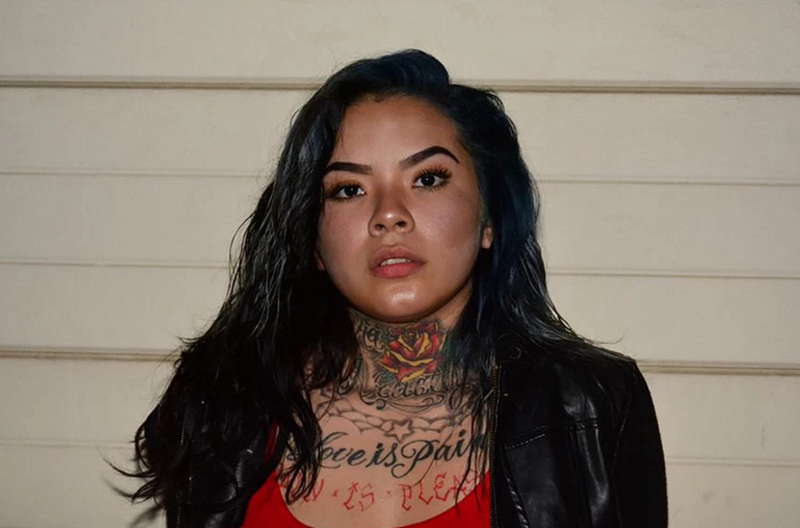 The lovely lady in question is Mirella Ponce, a 20-year-old gang member, who was arrested on Monday after being pulled over by cops. In the car in which she was stopped was a loaded gun and her infant child, according to reports. Ponce wasn’t the only one in the car, and she was arrested along with two other members of the gang of which she is allegedly part: the Tiny Rascal Gang. She has been charged with two felonies: carrying a concealed firearm and carrying a stolen firearm. She was booked into Fresno County Jail when the police department posted a picture of her mugshot on Facebook. The post has since been taken down as most comments wanted the young woman released, because that’s what beauty does folks. The only crime she committed was stealing my heart. Others were commenting asking how much the bail was so they could pay it to get her out of jail. 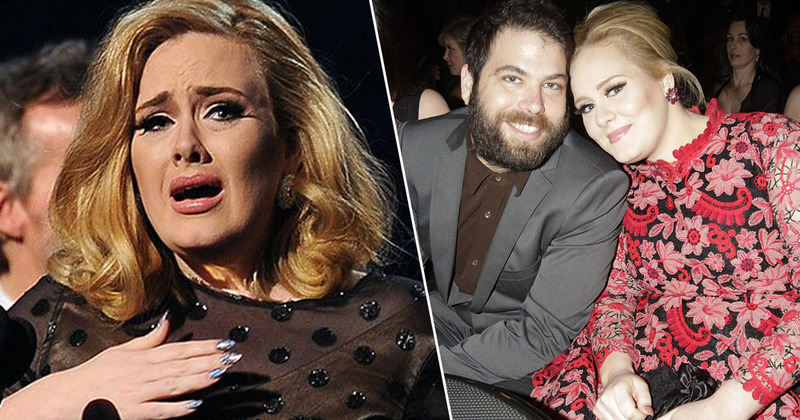 Her looks have captivated people so much she has her very own moniker – similar to hot felon. The Facebook post went up on Wednesday and received thousands of likes, shares and comments (mostly with people calling for her release) which is probably why the post was removed. 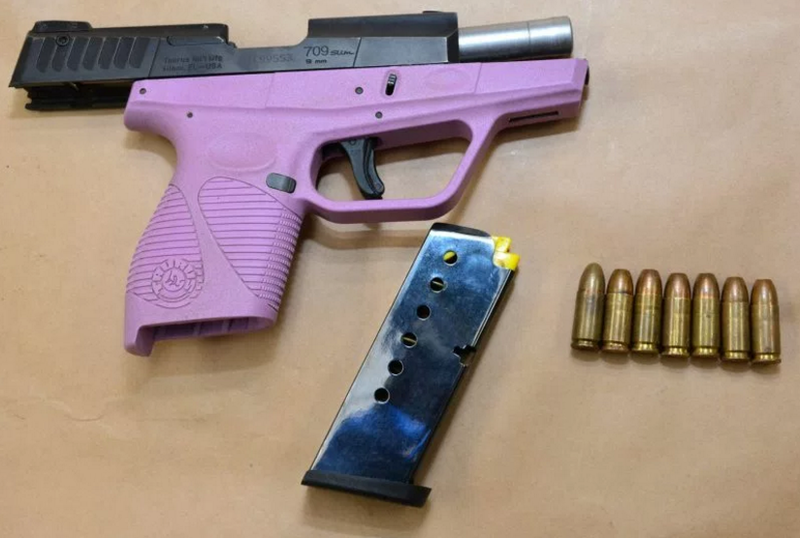 As well as Ponce’s mugshot, police also released an image of the firearm she was pulled over with, a lilac coloured handgun which was loaded with six rounds . It’s only a matter of time before the girl gets out of jail and she picks up a modelling job somewhere.